The first course of its kind, this specialist degree will equip you with the skills to have a real impact on improving health and wellbeing in today’s society. This course has been designed and developed in collaboration with Derby City Council to provide you with the holistic skills you need for a career in all aspects of health and exercise promotion. 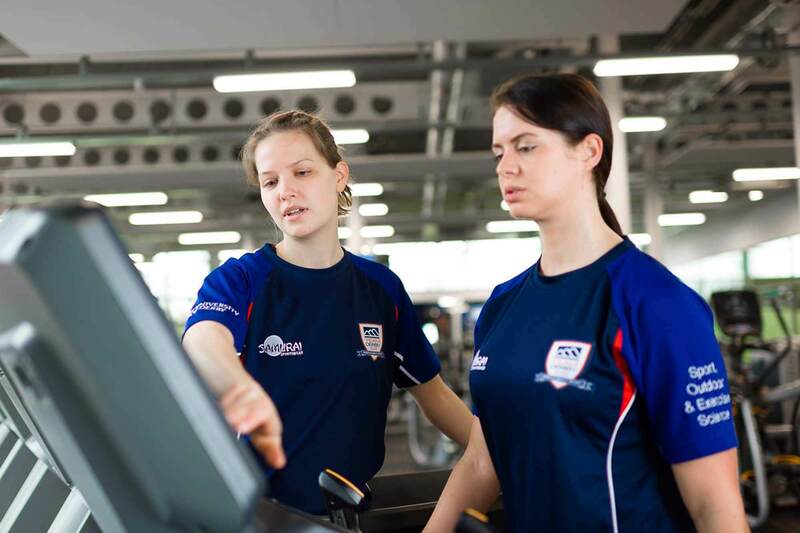 Our pioneering BSc (Hons) Physical Activity, Nutrition and Health gives you the chance to transform your passion for sport and exercise into career roles where you can make a real difference to people’s lives. You’ll explore the importance of physical activity and nutrition in preventing and managing disease as well as promoting optimal health and wellbeing at all stages in life. Throughout, you will draw on the latest scientific evidence to underpin your work. With its strong focus on real world learning, the course enables you to apply your skills and knowledge to practical health promotion projects. You will gain experience of working with individuals to change their attitudes to exercise and nutrition. You will also take part in initiatives which aim to improve the health and exercise habits of entire communities and population groups. As a city, Derby has a strong track record for collaborative projects aimed at tackling physical inactivity. Our University has joined forces with Derby City Council and a range of other partners to launch the Derby City Move More Consortium, which has set an ambitious target of reducing inactivity by 25% over the next few years. By joining this course, you will play an important role in helping us to achieve that goal. At the same time, you will forge your own career direction in a specialist and growing field where high-calibre new recruits are in demand. You will acquire essential practical skills and knowledge through exciting work placements with the consortium. These are integrated at each stage of the course and you will work alongside academics and health professionals with a broad range of expertise. The placements will give you experience of working with various population and patient groups and the chance to enhance your interpersonal and communication skills. Using the latest specialist equipment, you’ll get involved in physiology testing and cardiometabolic health assessments, as well as psychology-based studies relating to exercise. We have also mapped this programme to national standards for the Register of Exercise Professionals (REPs) so you will have opportunities to gain Level Two (gym instructor) and Level Three (personal trainer) accreditation. Our Physical Activity, Nutrition and Health student Magdalena Slavikova worked on a national health promotion programme for her placement allowing her to build confidence and develop her skills. Our £10.8m includes a main hall, fitness gym with strength and conditioning area, studios, squash and badminton courts, an internal climbing wall, sprint track, changing rooms, treatment rooms and a café. It complements our existing facilities such as floodlit all-weather pitches and tennis courts. We have invested in cutting-edge facilities. You will hone your skills in a well-equipped sport and exercise facility and measure the parameters of health and fitness. In addition, we use a range of computer software packages for statistical analysis. You’ll also be well catered for if you want to take part in recreational sport – whether as a first timer or as an elite performer. We have a new 44-station fitness facility at our Kedleston Road site, equipped with up-to-the-minute Technogym and Wellness system technology. Our sport and exercise science staff include accredited professionals who will provide you with high quality teaching and support. They are actively involved in research into a wide-range of themes including, physical activity monitoring of preschool children, nutrition, performance profiling and human balance control – to name a few. You will also have the chance to undertake your own independent research into a theme of your choice, culminating in a major conference where you will showcase your findings.